1960's Ford Truck Custom Cab Photo Picture Classic Cars for sale & Classifieds - Buy Sell Classic Car & Classic Truck Classifieds. 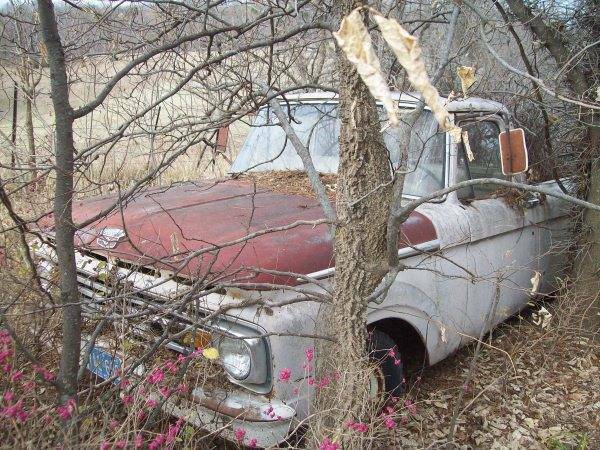 Here is a 60's Ford Truck Custom Cab that looks like it has been sitting here for a long time. It has a straight six, with manual trans plus the body is straight and mostly rust free. Looks like a Unibody and in good shape. Someone get it before it rust away. I am pretty sure it is a long bed. I took the picture back in November.